Robert D. Iafe, Administrative Law Judge for the Special Education Division of the Office of Administrative Hearings (OAH), heard this matter on February 5, 6, 7, 9, 13, 14, and March 12, 13, and 14, 2007, in San Juan Capistrano, California. Paul J. Majors, of The Majors Law Firm, appeared on behalf of Petitioner Student (Student). Either Student’s mother (Mother) or Student’s father (Father) was present during the hearing, and often both were present. Caroline A. Zuk, of the Law Office of Caroline A. Zuk, appeared on behalf of Respondent Capistrano Unified School District (District). Anne Delfosse, Executive Director of Special Education for District, was present during the hearing. The record was opened on February 5, 2007. Testimony was taken and evidence was offered and received through March 14, 2007. At the conclusion of the introduction of evidence, the record remained open at the request of the parties to submit written closing argument to be filed by April 2, 2007. Student filed Petitioner’s Final Summation dated April 2, 2007, and District filed Respondent Capistrano Unified School District’s Closing Brief dated April 2, 2007. Upon the filing of these written arguments, the record was closed and the matter was submitted on April 2, 2007. A. District failed to provide the least restrictive environment for Student. B. District failed to develop appropriate goals in all areas of Student’s needs including academic, reading, occupational therapy, social skills, and speech and language needs. C. District failed to provide appropriate services to meet all of Student’s needs including academic, reading, occupational therapy, social skills, and speech and language needs. D. District failed to provide transition services to Student. Issue 3: Whether District should reimburse Student’s parents for the privately funded services and placement obtained for Student including The Reading and Language Center and La Monte Academie? This case arises from the difficult transition of Student (Student), a child with autism, from his middle school years as a privately home-schooled student to his freshman year in a public high school with about 3,000 students. Student alleges District failed to develop and implement key portions of his individualized educational program (IEP) during the 2004-2005 and 2005-2006 school years, beginning with his first year at Dana Hills High School (DHHS), thereby depriving him of the free appropriate public education (FAPE) guaranteed by the Individuals with Disabilities Education Act (IDEA) found at 20 U.S.C. section 1400 et seq. District asserts the IEPs developed and implemented for Student for these school years provided him with a FAPE as contemplated by the IDEA. District defends its IEPs for the 2004-2005 and 2005-2006 school years as having provided appropriate services to meet all of Student’s unique needs in the least restrictive environment. 1. Student is eligible for special education and related services as a child with autistic-like behaviors. At the time the request for due process hearing in this case was filed on October 10, 2006, Student was 17 years old and attending the 11th grade at New Vista School, a nonpublic school formerly known as La Monte Academie, located in Laguna Hills, California. 2. During the entire time period at issue, Student resided with his parents within the geographical boundaries of the District. 3. Student was born several months prematurely with a very low birth weight. He was tracked by developmental services from birth to age three. Before age five, he was diagnosed as developmentally delayed. By age five, Student was diagnosed with autism by pediatric neurologist Pauline Filipek, M.D., of the University of California, Irvine, Medical Group. 4. Student began receiving special education services because of speech and language deficits in his early school years. He attended language-based preschool and kindergarten programs. He received speech and language services and some sensory integration services through the fifth grade. 5. Beginning in fifth grade, Student began to struggle socially. Student’s social problems arose because he was not able to pick up on cues and nuances in social situations that other students approaching middle-school-age were able to do. As a consequence, some other students would ridicule Student for his inability to relate socially and Student’s Mother and Father (Parents) became concerned about how Student was fitting in with his peer group at school. 6. Parents chose not to enroll Student in any public middle school because of their concerns about his social skills deficits. Rather, Parents had Student attend the University of California – Irvine, Child Development Center (UCI-CDC) which provided a program for children with attention deficits. Student began attending this program during the summer of his fifth grade. Student also attended UCI-CDC for the entire sixth grade school year and summer, with the sixth grade being the highest grade the center offered. 7. For the seventh and eighth grades, Parents again decided to keep Student out of the public school system. For these grades, Parents chose to home-school Student. In their home school environment, Mother provided academic instruction and testing and Father provided physical education and homework assistance. Parents understood that their decision to home-school Student for these junior high school years resulted in Student being educated in a very restricted environment. However, they intentionally chose to do this because they wanted to confine Student and separate him from the student population at their public middle school of residence, Marco Forester Middle School. 8. For the ninth grade, Parents made the decision to enroll Student back in public school to obtain social interaction. 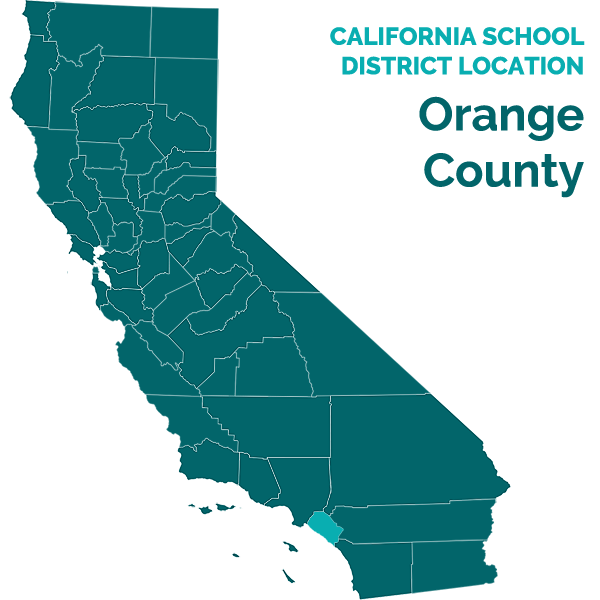 Student successfully auditioned for the Southern Orange County School of the Arts (SOCSA) program at Dana Hills High School (DHHS) and was accepted at the school. Parents wanted the public school experience in the ninth grade because of Student’s interest in social interaction and to work in groups such as the music program that SOCSA provided. Student’s ninth grade includes the 2004-2005 school year which is at issue in this case. 9. By letter dated April 27, 2004, Parents notified Caroline Williams (Williams), who was the Principal at DHHS at the time; they wanted Student to attend DHHS in the fall. They also requested an IEP to facilitate his transition to high school and advised Williams his last IEP was in the spring of 2002 at Marco Forester. On May 24, 2004, Mother attended an IEP meeting with representatives from Marco Forester Middle School, to begin Student’s transition to high school. At the time of this meeting, Student had applied for, but had not yet learned whether he would be accepted into, the SOCSA program at DHHS. 10. At this first meeting to transition Student back into public school, the IEP team began consideration of Student’s needs. In the IEP prepared at this meeting, the functional description of Student’s handicapping condition was described as high functioning autism adversely affecting his pragmatic language and academic functioning. The IEP contained goals in the following areas: math, prevocational, reading, writing, and communication skills/pragmatics: social. The IEP provided Student would attend a special day class (SDC) five times weekly per the high school schedule. Under this program, Student would also receive Speech/Language services one time per week for 30 minutes in a small group setting. The IEP noted the goals were developed based on standardized tests and Parent report. The IEP also provided for services during the period from June 14, 2004, through September 25, 2004, a period of time to allow the transition to high school to begin. 11. Mother attended a second transition IEP meeting on June 8, 2004, which included representatives from DHHS. At this meeting, with the input from high school representatives, the recommended classes for Student’s placement changed to the Resource Specialist Program (RSP) for one period of algebra 1A; the SDC for three periods for English, Learning Strategies, and science; one period for drama, music, comedy (for P.E. credit); guitar; and choir or orchestra per the best schedule of available classes in the fall. The IEP team agreed to meet again in September to review Student’s transition to high school. 12. Before Student attended DHHS, Mother requested a shadow aide for Student because of his history of difficulties with social situations. Mother made this request not because she objected to the placement of Student in the least restrictive environment, but because she did not know the extent of support afforded to Student throughout the school day. Student did not offer any evidence that the District’s offer of placement for the 2004-2005 school year was not the least restrictive environment for Student. In view of the fact that Student had been home-schooled for the two years before attending DHHS, and taking into consideration Student’s social and behavioral needs, the placement in the RSP for algebra and the SDC for three periods for English, Learning Strategies, and science, with general education electives, was the least restrictive environment for Student. 13. Leslie Horton (Horton) was Student’s case manager and SDC teacher at DHHS. Mother met with Horton shortly before classes started and provided her with much information regarding the unique needs of Student. She provided Horton with additional copies of speech and language assessments and records from Student attending a biology class at Saddleback College. She also provided Ms. Horton with recent assessments conducted by Marco Forester for the transition from Student’s home-schooled environment to the public high school which included assessments for math and reading. Mother also provided a copy of a neuropsychological report by Christine Majors, Psy.D. (Dr. Majors) dated May 5, 2002. There were no social skills or occupational therapy assessments of Student at this time. 14. The May 5, 2002 neuropsychological report by Dr. Majors (Majors 2002 Report) was comprehensive. The Majors 2002 Report included 18 pages of review of available records relating to Student from the age of 15 months to the then-current testing, including educational records, independent evaluations and reports, and then-current observations. Then-current testing included intellectual functioning, cognitive achievement, behavioral, emotional, and adaptive functioning. 15. For the area of reading, the most recent assessment conducted by District was a Woodcock Johnson-III Test of Achievement, Form A, conducted by Sue Chance with a written summary report dated May 21, 2004. This testing by the District found weaknesses in the areas of Passage Comprehension, Reading Fluency and Writing Samples, while there were strengths in the areas of Letter-Word Identification and Calculation. The written report noted the test scores1 for Student showed “he is above grade level in letter-word recognition, at grade level for math calculation, but continues to be below grade level in reading comprehension and written language.” Student’s standard scores on these tests conducted by District were entirely consistent with Student’s standard scores2 from two years earlier as determined and reported in the Majors 2002 Report. Although his decoding skills were in the average range, Student’s comprehension was below average. 16. From all the evaluation materials provided by Mother, District had sufficient reliable information to know Student had unique needs in several areas including academic, reading, social skills, and speech and language needs. He had weaknesses in communication and social skills, fluency, organizational skills, reading, and writing. 17. In the area of occupational therapy (OT), Student did not have deficits which required services. There was agreement that Student spent an inordinate amount of time carefully printing his handwriting, often rewriting and retracing the same letters over and over again. However, this was not an OT need but was the result of Student’s perseveration about making accurate letter shapes when printing. 18. In the area of social skills, Student’s deficits were well documented. Previous school records3 and Mother’s input at the IEP team meetings for transition to high school identified the need for pragmatic language skills. The Majors 2002 Report noted Student’s history of significant delays in speech and language development and identified deficits in the areas of pragmatic and abstract language skills. 19. Father also noted that Student behaved in a manner that demonstrated Student did not understand the need for social distance and as a consequence would get closer to other people than the other people might be comfortable with. Student also tended to speak to people without looking at the people, he laughed inappropriately at jokes, and he repeated things he had heard without a clear understanding of what they meant. In the context of the school setting, this conduct would be more tolerable in high school-age boys rather than girls. 20. In the area of speech and language, Student had a history of deficits from delayed speech to a then-current need for social and pragmatic language skills. In addition, Student’s speech was unusual for prosody4 in that the pausing, phrasing, and intonation pattern with which he spoke was atypical. Some people might describe Student’s prosody as pedantic in that his pausing and phrasing has an overly formal kind of presentation. Because of this formal inflection, Mother explained Student can appear to speak like a little professor. 1 The actual scores reported by Sue Chance for Student in May 2004 were: Passage Comprehension: Standard Score (SS) of 80 (and a Grade Equivalent (GE) of 4.0); Reading Fluency: SS of 84 (GE of 5.4); Writing Samples: SS of 75 (GE of 3.7); Letter-Word Identification SS of 100 (GE of 9.8); and Calculation SS of 98 (GE of 8.8). 2 The actual scores reported by Dr. Majors for Student in May 2002 were: Passage Comprehension: Standard Score (SS) of 92 (and a Grade Equivalent (GE) of 5.1); Reading Fluency: SS of 89 (GE of 5.0); Writing Samples: SS of 74 (GE of 2.5); Letter-Word Identification SS of 100 (GE of 7.3); and Calculation SS of 100 (GE of 7.1). 4 Prosody is the “tone of voice” or inflection given to spoken language. 5 Although Mother did not want Student exposed to any of this language, Father was more tolerant explaining he had “grown up with swearing, that rolls off.” He was more concerned with much of the language that was obscene. 6 Although Adams involved an Individual Family Service Plan and not an IEP, the Ninth Circuit Court of Appeals applied the analysis in Adams to other issues concerning an IEP (Christopher S. v. Stanislaus County Off. of Education (9th Cir. 2004) 384 F.3d 1205, 1212), and District Courts within the Ninth Circuit have adopted its analysis of this issue for an IEP (Pitchford v. Salem-Keizer School Dist. No. 24J (D. Or. 2001) 155 F.Supp.2d 1213, 1236). 21. After Student attended DHHS for about a month, there was another IEP team meeting on September 24, 2004, to review the beginning of Student’s transition to high school. The team considered information from Student’s Mother, his teachers, and existing records. The IEP was modified to add an organizational goal for study skills and added autism consulting services for 60 minutes per month to be provided by District’s autism specialist Denise Weis-Daugherty (Weis-Daugherty). 22. Based on Student’s needs as identified by the team, the IEP for 2004-2005 was developed with specific goals for Student. For example, in the area of communication skills and social and emotional development, Student had impaired abstract language skills, poor problem solving abilities, and deficits in pragmatic language. Specific goals were developed to work on Student’s skills to express acceptance, rejection, approval, and disapproval. The goals also included taking turns appropriately and attending visually and aurally in conversation, as well as watching the listener’s reactions to check for understanding. 23. In the area of reading, Student’s comprehension entering the ninth grade was at about the fourth grade level and he needed specialized reading instruction. His IEP goal addressed formulating predictions about text. It focused on using knowledge and ideas from illustrations, titles, topic sentences, key words, and clues to make and confirm predictions about text. In implementing the reading goal, Student’s SDC teacher Horton used reading strategies in her classroom. These included portions of the Lindamood-Bell Visualizing and Verbalizing (V/V) reading program. The V/V program is a methodology that works on reading comprehension and helps students make sense out of what they read. Horton had received some training in the V/V program when she participated in two workshop training sessions provided by District. Horton implemented some of the strategies of this V/V reading program in her classroom with Student. 24. For the areas of speech and language and social skills, several members of District’s staff provided appropriate services to Student. In particular, student was supported by a speech language pathologist, an autism specialist, and a SDC teacher. Jill Webb, Ph.D. (Dr. Webb) was a speech language pathologist for District who had 25 years of experience. Dr. Webb provided direct speech and language services to Student every week for 30 minutes per week. She used Michelle Garcia Winner’s pragmatic language strategies in working with Student. Dr. Webb also consulted with Student’s other teachers, including his SDC, English, and music teachers. 25. In addition, SDC teacher Horton taught a period of English and a period of Reading, which was identified as a Learning Strategies class on the IEP. She worked on conversation building skills and worked with Student in group settings to develop appropriate social interaction and to develop pragmatic language skills in these classes. She used a social curriculum in her classroom called Social Skills Strategies. She incorporated the Listening Curriculum, where students rehearsed what a good listener looks like, and used worksheets on listening, among other strategies. She also worked on strategies for making conversation, voice volume control, and how to stay on topic, among others. These interventions were used to address Student’s atypical prosody, his social skills, and his use of pragmatic language. 26. Independent speech language pathologist Judy Segal, M.A. (Segal), was called as a witness to support Student’s assertion that the 30 minutes of speech language service per week as provided in Student’s IEP was an inappropriate level of service to meet Student’s needs. She has been a speech language therapist for 24 years and was highly qualified by training and experience to give expert testimony. Segal testified that the appropriate level of speech language service for Student was two hours per week and not the 30 minutes recommended by Dr. Webb. However, on cross-examination, Segal was directed to her written report that recommended only one hour per week, and she reduced her recommendation to one hour per week. 27. Moreover, on further cross examination, Segal said the educational placement of Student would affect her recommendations for speech language services. In spite of this, she did not attend any of the IEP meetings for Student, she had never observed Student in any of his classes in public school, she never had communications with any of Student’s teachers, and did not have any information about any of District’s special day classes, or Student’s SDC in particular, when she made her recommendation. With no input from these many variables to allow her to adjust her one hour service recommendation, the recommendation by Dr. Webb of 30 minutes of speech language service as a part of Student’s entire educational program was entitled to more evidentiary weight. 28. There was one additional IEP meeting as Student transitioned into high school. On October 25, 2004, Mother wanted to discuss Student’s organizational skills as student was not always certain what assignments were to be done, which resulted in Student having had some incomplete work. There was discussion of a more precise use of Student’s planner with dates of assignments, daily checking of homework, weekly signing of progress reports, and signing of Student’s work to insure Student was aware of what needed to be done for his classes. 29. Parents were concerned about the amount of inappropriate language to which Student was exposed during the ninth grade. Parents described this inappropriate language in various ways during the hearing to include “cussing,” cursing,5 swearing, foul language, obscene language, vulgar language including the “F-bomb,” and sexually-explicit language being used by other students at the high school. 30. There was no dispute that Student’s autism impacted his ability to tolerate this inappropriate language. Mother described Student as very rigid in his thinking; Father described Student as having a rigid rule matrix and a very literal world view; and Horton described Student as a “law and order” kind of student. However, all agreed Student had difficulty understanding how some students could use inappropriate language at school without being punished. 31. The problem arose over how to handle the inappropriate language used by other students in the presence of Student. Parents wanted the language to stop or at least to have District enforce the rules such that there would be consequences for inappropriate language and offending students would be punished. District representatives wanted the language to stop as well. But District representatives also used instances of inappropriate language as teaching moments to help Student understand there were some times in life when inappropriate language occurred because persons either could not or would not control their language, and Student needed strategies to be able to handle those situations. 32. In addition to the inappropriate language issue, Parents also voiced concerns about Student’s safety at school. As examples of incidents giving rise to Parents’ concerns, Mother described three incidents that occurred during the second semester of the ninth grade: the hallway incident, the Hawaii choir trip, and the quad incident. 33. As one of Student’s teachers, Horton often ate lunch at her desk in her SDC classroom. She did this to allow students to be present in the familiar environment of her classroom, and the hallway outside her classroom, during this non-instructional time. She also did this to allow herself to monitor her students. During the lunch recess on March 22, 2005, Horton was mid-bite through her sandwich when she was alerted by a loud noise from the hallway which she recognized as a student’s voice yelling out and echoing down the hall. Horton went into the hallway to investigate and saw Student with other students around him. When Horton asked what happened, Student told her he was pushed into the wall and bumped his head. 34. In accordance with school policy, Horton immediately contacted a vice principal to investigate the incident. When the vice principal arrived, Horton explained the few things she saw and heard and went back to her lunch. Because Student reported he bumped his head after being pushed by another student, Student was sent to the school nurse. The school nurse telephoned Mother and reported the incident to her. District attendance records show Student did not miss any classes on March 22, 2005, the day of the incident. 35. District representatives could not determine what actually happened in the hallway. They testified they could not determine whether the incident was truly an intentional malicious push or whether Student misinterpreted some unintentional contact or non-malicious rough housing during lunch. District representatives testified they also could not determine who actually made the physical contact with Student. Parents were not satisfied with the failure of District to punish those responsible for the incident and with the inconclusive results of District’s investigation. 36. Student’s choir class was invited to a competition in Hawaii. Student participated in this event and Mother went on the trip as an adult chaperone. There was a long bus ride from the hotel to the concert location and the students were in high spirits. The adults on the bus included the choir teacher, Mother, and two other adult chaperones. During the bus ride, Mother noticed the language on the bus was loud and included a lot of sexually- explicit conversation. The sexually-explicit conversation was being conducted among students on the bus who ranged in age from 14 to 18 years old. Mother was upset with the language. Although the teacher told the students to stop the sexually-explicit language, the students did not. 37. During the bus trip, Student was trying to participate in the conversation but, as described by Mother, he was out of his depth. Mother went back and removed Student from among the students using the sexually-explicit language. Mother made him sit with her for the rest of the bus ride, which she explained did not do a lot for his status in his peer group. 38. When they arrived at the concert location, Student was so upset and Mother was so disgusted, she called for a cab to go back to the hotel. Mother told the choir teacher that Student was not going to participate in the concert. Mother explained that Student was upset because he sensed that Mother was offended and he could not understand why the adults on the bus were tolerating the kind of language he was taught not to use. Rather than stay with the group on the trip, Parents decided to buy airplane tickets and have Mother and Student return home early. 39. Mother identified another incident that caused her concern for Student. One day when Mother went to work at the snack cart at school, she saw Student walking between classes. She also heard a girl from one of Student’s SDC courses yelling across the quad and shrieking at Student. Mother heard the girl telling Student that someone who was a friend of Student did not like him. Mother described the girl’s yelling as the taunting and ridiculing of Student and explained that Student was pretty upset as a result of the girl’s conduct. 40. Student had unexcused absences during the week before and the week after the 2005 spring break. Parents chose to keep Student home from classes during these days until they could meet at an IEP scheduled for April 22, 2005. This IEP meeting was arranged to discuss Parents’ safety concerns for Student. Father made clear that District never told Parents to keep Student out of school until they could meet. Rather, the decision to keep Student home during the weeks before and after the 2005 spring break was entirely the decision of Mother and Father. 41. During this meeting, the team discussed how to handle Parents’ concerns for Student’s safety. Parents were concerned because in the general high school environment, Student was unsupervised during free time such as lunch and the time spent outside of the classroom. Several options were considered at the meeting including lunch time in an adult supervised room such as Horton’s or another teacher’s room; lunch time with the social skills “lunch a bunch” which is supervised by a counselor; lunch time in the severely handicapped room where disabled and non-disabled students eat lunch and can interact with each other and where adults are present to practice relationship skills together; or lunch time in the band room. 42. Student returned to school after the April 22, 2005 IEP meeting. During Student’s first morning back at school, someone wrote the words “Kick me” with a red marker on the back of Student’s shirt, which appeared to have occurred during Student’s choir class. District notified Mother who brought a new shirt to school for Student to wear. After Mother told Horton about the incident at lunch time, Horton observed Student closely for the rest of the day. According to Horton, Student was not visibly upset after the incident. 43. District representatives attempted to determine who wrote on the back of Student’s shirt. During the investigation, Student identified the names of two individuals as the persons who wrote on his back. However, one of the two individuals was severely handicapped who was not even able to write her own name. The other individual was a girl Student had an interest in, but who sat on the other side of the classroom from where the writing was believed to have occurred. As a result, District personnel were never able to confirm who actually wrote on Student’s shirt. 44. During the two months from the date of this incident on April 22, 2005, to the end of the school year on June, 16, 2005, there were no other similar incidents involving Student known by Student’s teachers or identified by Parents. 45. The IEP team was set to meet at the end of the ninth grade for Student’s triennial assessment and to develop an IEP for the tenth grade. In anticipation of the meeting, District provided an assessment plan to Parents on April 22, 2005, proposing to assess Student in numerous areas including academic achievement, speech/language, intellectual development, social/emotional/adaptive behavior, perceptual/processing, and health/physical status. Mother consented to these assessments on May 3, 2005. On the consent form, Mother notified District that Parents wanted District to consider additional testing conducted by Dr. Majors. 46. The IEP team met three times at the end of the ninth grade. The first of these three meetings took place on May 23, 2005. The team met again on June 10, 2005, and finally on June 15, 2005, during the last week of school for the year. Student’s needs, similar to the previous year, were discussed and goals were proposed and modified during these three meetings. Student turned 16 years of age shortly before the first of these meetings. Credible evidence was offered by Horton that she spoke with Student about transition services. Both Student and Father signed the Individualized Transition Planning page of the draft IEP presented by District and handwrote the date of May 23, 2005, beside their signatures. Student’s input on the planning page reflected Student had indicated an interest in music; that he would benefit from field trips in this area; that he was exploring options regarding pre-employment; and he enjoyed living at home regarding independent living skills training. Among the post-school activities under consideration were post-secondary education and community participation. 47. Objective assessment test results in May 2005 show Student benefited from his special education program at DHHS during the ninth grade. On the Woodcock Johnson-III Test of Achievement, administered in May 2005, some of Student’s scores were in the average range such as a spelling standard score (SS) of 106; a basic writing SS of 99; an academic skills SS of 94; an editing SS of 93; a Letter-Word Identification SS of 91; and a quantitative concepts SS of 91. On some of the other Form A subtests, Student had a passage comprehension SS of 86; a reading fluency SS of 76; a writing samples SS of 62; and a calculation SS of 88. 48. In addition, Student’s grades at the end of the Ninth Grade showed success with his classes. In the fall 2004 semester, Student received three As in SDC English IA, SDC reading IIA, and SOCSA choir; he received two Bs in RSP algebra IA and SOCSA drama/music; and he received two Cs in SDC science IA and SOCSA strings. With these grades he earned a 3.17 grade point average with accommodations in a diploma-bound program. In the spring 2004 semester, Student received two As in SDC English IB, and SOCSA choir; he received two Bs SDC reading IIB and SOCSA drama/music; and he received three Cs in SDC science IB, RSP algebra IA and SOCSA strings. With these grades he earned a 2.83 grade point average with accommodations. By the end of his ninth grade year, he had successfully completed 75 of the 220 credits required for graduation. 49. By the June 15, 2005 IEP meeting, appropriate goals were developed in the areas of academics, pragmatic language, reading, writing, independent study, social behavior, math, and speech and language. District offered the following educational plan for Student: three periods per day within the Special Day Class program and one period per day within the Resource Specialist Program. In addition, District offered to provide Speech and Language services for 30 minutes once per week and the autism specialist services for one hour per month as it had provided the year before. For the RSP class, District recommended algebra 1B per the block schedule beginning from August 25, 2005, through May 23, 2006, for Student’s tenth grade school year. For the three periods in the Special Day Class program, District recommended English, science, and world history per the block schedule beginning from August 25, 2005, through May 23, 2006, for the tenth grade school year. This was an appropriate educational program for Student. 50. The team also agreed Student needed additional intervention to improve his reading skills. However, the district team members and parents disagreed on what intervention was necessary. District asserted the interventions provided in its classroom setting were sufficient. Student asserted intensive reading intervention from The Reading and Learning Center was necessary and the intervention should start without waiting for the school year to begin in the fall. 51. Student showed growth in his reading skills from the approximate fourth grade level to the approximate fifth grade level while attending DHHS. Although Student was still several years behind in his reading skills, he was receiving educational benefit from District’s program and was progressing. In fact, Student was receiving benefits of the strategies from the Lindamood-Bell V/V program in his SDC classroom. Horton had received training from District in strategies used in the Lindamood-Bell programs and she employed them with her students including Student. Although Barbara Pliha (Pliha), a speech pathologist and reading specialist at The Reading & Language Center, recommended an intensive intervention at her company, such services were not required in order for Student to receive a FAPE. 52. Parents privately paid for Student to attend The Reading and Language Center beginning on June 8, 2005, for intensive daily sessions. The amounts Parents paid The Reading and Language Center from June 8, 2005, through May 23, 2006, for intensive reading intervention for Student total $17,780. 53. During the several IEP meetings at the end of the ninth grade, the parties divided sharply on their interpretations of Student’s scores from the most recent intellectual testing conducted in May 2005. Both assessments were conducted when Student was 16 years old and attending the ninth grade at DHHS. Student urged the IEP team to adopt the results of an assessment by Dr. Majors in a report titled Neuropsychological Evaluation Report dated May 21, 2005 (Majors 2005 Report). District urged the team to adopt the results of an assessment report titled Psychoeducational Report dated May 23, 2005 (Aristo Report), conducted by Robert Aristo, M.A. (Aristo), who is a licensed school psychologist employed by District. 54. Similar to the 2002 report by Majors, the Majors 2005 Report included an extensive review of available records relating to Student from the age of 15 months to the then-present and comprehensive then-current testing. The testing included scores for intellectual functioning. 55. Aristo administered the Woodcock-Johnson III Tests of Cognitive Abilities on May 10, 2005, as part of his assessment of Student. The Aristo Report included a General Intellectual Ability (GIA) score of 76 for Student. The Majors 2005 Report included results of the Wechsler Intelligence Scale for Children-IV, which Dr. Majors administered, and showed a Full Scale Intelligence Quotient (FSIQ) of 81. When considering the various subtests which are factored into the GIA score of 76 and the FSIQ score of 81, the scores are relatively consistent. However, Dr. Majors urged the team to accept Student’s Perceptual Reasoning score of 92 as the best estimate of Student’s current level of intellectual functioning. District psychologist Aristo did not agree with this estimate because the Perceptual Reasoning score only accounts for a portion of the calculated FSIQ. 56. By all accounts, the discussions about interpreting these scores for Student’s cognitive ability were intense and polarized. The parties brought an incredible amount of assessment information, experience, knowledge about Student, and intellectual energy to the IEP table. Their dispute about the one assessment tool that each side urged for intellectual functioning, however, generated more heat than light on issues that needed to be resolved for Student. And this is especially true where, under both state and federal law, no single measure or assessment can be used as the sole criterion for determining an appropriate educational program for Student. 57. Parents did not accept District’s June 15, 2005 IEP offer. Rather, Parents notified District by letter dated August 12, 2005, of their intention to withdraw Student from DHHS and that Student would not be attending during the 2005-2006 school year. Although Parents did not notify District where they intended to enroll Student, they actually enrolled Student at La Monte Academie, a nonpublic school located in Laguna Hills, California. 58. Parents did not offer any evidence that the District’s offer of placement for the 2005-2006 school year was not the least restrictive environment for Student. In fact, the private placement Parents selected for Student at La Monte Academie was more restrictive than the District’s proposed placement at DHHS. 7. Parents of children with disabilities are also provided procedural protections under the IDEA. (20 U.S.C. § 1400, et seq.) The Supreme Court noted in Rowley that “Congress placed every bit as much emphasis upon compliance with procedures giving parents and guardians a large measure of participation” at every step “as it did upon the measurement of the resulting IEP.” (Rowley supra , 458 U.S. at 205-206.) Moreover, a parent is a required member of the IEP team. (20 U.S.C. § 1414(d)(1)(B)(i); 34 C.F.R. § 300.344(a)(1); Ed. Code, § 56341, subd. (b)(1).) The IEP team must consider the concerns of the parents for enhancing their child’s education throughout the child’s education. A. Whether District failed to provide the least restrictive environment for Student? 1. Pursuant to Factual Findings 1-8, and 9-12, and Legal Conclusions 1-5, District did not fail to provide the least restrictive environment for Student. At the time the IEP was formulated, Mother had been Student’s only teacher for the previous two full years. As Student’s mother and educator, Mother was undoubtedly the person who knew Student best under all circumstances. Mother agreed to the placement of Student in the SDC and RSP classes when Student transitioned back to public school after being in a much more restrictive home school environment. 2. Parents wanted the social interaction provided by the public high school setting for Student, but they also wanted to provide the support Student would need to be successful. The combination of RSP, SDC, and general education classes in choir and strings provided a reasoned balance of environments for Student to benefit from the curriculum. B. Whether District failed to develop appropriate goals in all areas of Student’s needs including academic, reading, occupational therapy, social skills, and speech and language needs? 3. Pursuant to Factual Finding 17, Student did not have OT needs. Although Student’s handwriting was very slow, it was not caused by a need for OT but was a result of his autism by his repeatedly tracing of letters over and over again to produce carefully formed printed words. 4. Pursuant to Factual Findings 1- 8, 9-20, and 21-28, and Legal Conclusions 1-6, and 12-13, District developed appropriate goals in all areas of Student’s needs including academic, reading, social skills, and speech and language. C. Whether District failed to provide appropriate services to meet all of Student’s needs including academic, reading, occupational therapy, social skills, and speech and language needs? 5. Pursuant to Factual Finding 17, there were no OT needs that required services. Pursuant to Factual Findings 23-28, and 47-48, and Legal Conclusions 3-5, District provided all appropriate services to meet Student’s academic, reading, social skills, and speech and language needs. D. Whether District failed to provide transition services to Student? 6. Pursuant to Factual Finding 46 and Legal Conclusion 16, Student was only 15 years old before he entered the ninth grade and there was no obligation to include transition services in the IEP for that year. 7. Pursuant to Factual Findings 1-8, and 9-12, and Legal Conclusions 1-5, District did not fail to provide the least restrictive environment for Student. As with the mix of classes in the 2004-2005 school year, the combination of RSP, SDC, and general education elective classes provided an appropriate balance of environments for Student to succeed. 8. Pursuant to Factual Finding 17, Student did not have OT needs. Although Student’s handwriting was very slow, it was not caused by a need for OT but was a result of his autism by his exceedingly careful tracing of letters over and over again to produce perfectly formed letters when he printed. 9. Pursuant to Factual Findings 1- 8, 9-20, and 21-28, and Legal Conclusions 1-6, and 12-13, District developed appropriate goals in all areas of Student’s needs including academic, reading, social skills, and speech and language. District’s proposed program was reasonably calculated to provide Student with educational benefit. In fact, a similar program had provided Student with such benefit for the previous year in the ninth grade. Having found that the program offered by District was appropriate to meet Student’s needs, there is no need to review the program selected by Parents after they withdrew Student from District’s high school. 10. Pursuant to Factual Finding 17, there were no OT needs that required services. Pursuant to Factual Findings 23-28, and 47-48, and Legal Conclusions 3-5, District provided all appropriate services to meet Student’s academic, reading, social skills, and speech and language needs. 11. Pursuant to Factual Finding 46 and Legal Conclusion 16, District provided the required transition services to Student when he turned 16 years of age. A. services obtained for Student at The Reading and Language Center? 12. Pursuant to Factual Findings 49-51, and Legal Conclusions 3-6, Student’s Parents are not entitled to reimbursement for the amounts they paid for the reading services they obtained for Student at The Reading and Language Center after they withdrew Student from District’s high school. 13. The reading strategies as implemented by SDC teacher Horton during the ninth grade were appropriate and provided educational benefit to Student. B. placement obtained for Student at La Monte Academie? 14. Pursuant to Factual Findings 23-28, and 47-48, and Legal Conclusions 3-6, District provided all appropriate services to meet Student’s academic, reading, social skills, and speech and language needs. 15. District’s proposed program was reasonably calculated to provide Student with educational benefit. In fact, a similar program had provided Student with such benefit during the previous year in the ninth grade. Having found that the program offered by District was appropriate to meet Student’s needs, there is no need to review the program selected by Parents after they withdrew Student from District’s high school. 1. District provided Student a free appropriate public education for the 2004-2005 school year. 2. District provided Student a free appropriate public education for the 2005-2006 school year. Pursuant to California Education Code section 56507, subdivision (d), the hearing decision must indicate the extent to which each party has prevailed on each issue heard and decided. District prevailed on all issues in this due process hearing.